Sometimes, tried and true is best. In fact, studies show that people behave differently when reading print media than they do when reading digital media. That’s because print advertising communicates to the consumer your level of professionalism, respectability, and corporate longevity. It is a tangible expression of your brand targeted directly to your local community – the audience most likely to purchase your products and services. Many of your potential clients may not even use the internet regularly. This is why we always recommend a fully-integrated marketing approach that includes the most up-to-date digital marketing and never excludes traditional venues like print. Reach customers wherever they are. 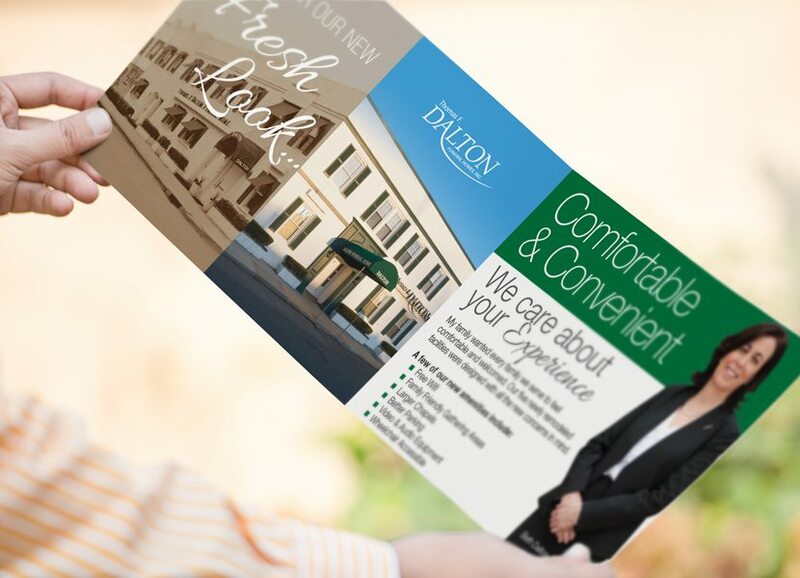 Add a highly-targeted direct mail campaign to your overall marketing strategy, and you’ll see results. That’s because MKJ Marketing creates memorable pieces, with eye-catching headlines that specifically address your consumer’s point of view. We handle it all, from paper selection and printing, to sourcing a mailing list for your demographics and market, and even mail services and postage. Introduce yourself to the community, or explain why as our graphic artists and writers unite to design you a full-color, custom brochure. Some topics you might consider are celebrant services, an end-of-life guide, or concierge services, if you offer them. You might want to show off your beautiful grounds and facilities. Whatever it is, we’ll capture your brand from cover to cover. We can manage the entire printing process to guarantee you the highest quality end product. 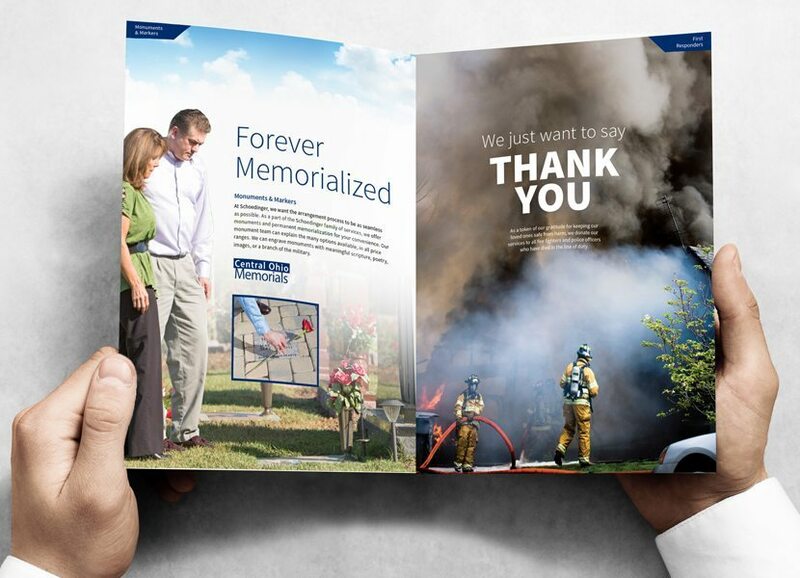 MKJ was the first to offer pre-produced newspaper advertisements and inserts specifically designed for the marketing challenges faced by the funeral industry. Today, we boast hundreds of affordable, print-ready ads and inserts, all licensed exclusively to you in your market area. 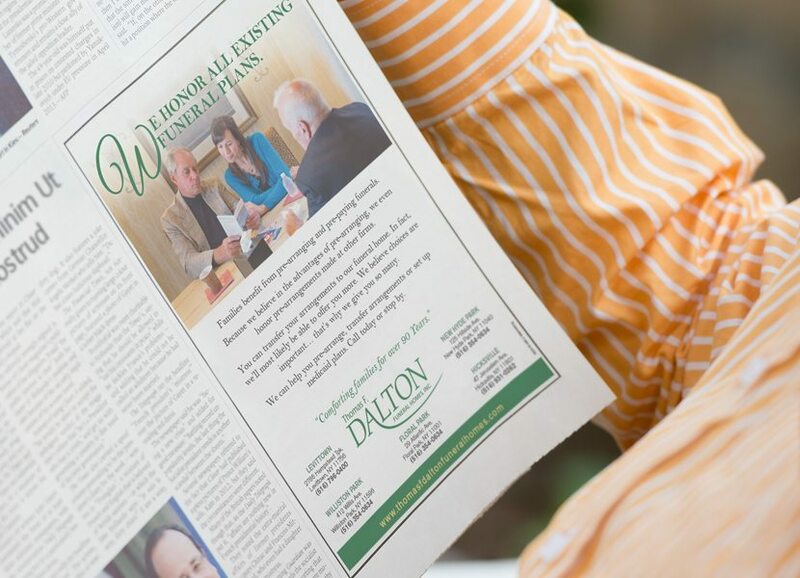 With inserts, we handle printing and delivery to your local newspaper. And if you have a specific need, we can create custom copy and select high-quality photographs for your unique situation. When you need the ad you run to work, trust the best.